Mar 26, 2019—Penticton, BC: Are you tired of your meetings being constantly the same? And getting the same old results? Got an important meeting coming up that you want to do differently? Join us Friday, April 5th for Champions of Change and learn to facilitate meetings and workshops that are engaging, interactive, and fun. 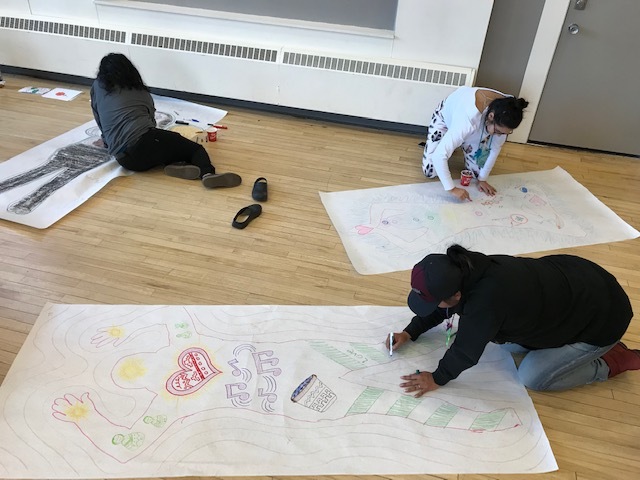 During our most recent session, we talked about how self care starts on the inside. By looking at our attitudes and beliefs, we were able to see which of our deepest dreams, greatest talents, or authentic gifts may not be getting nourished. 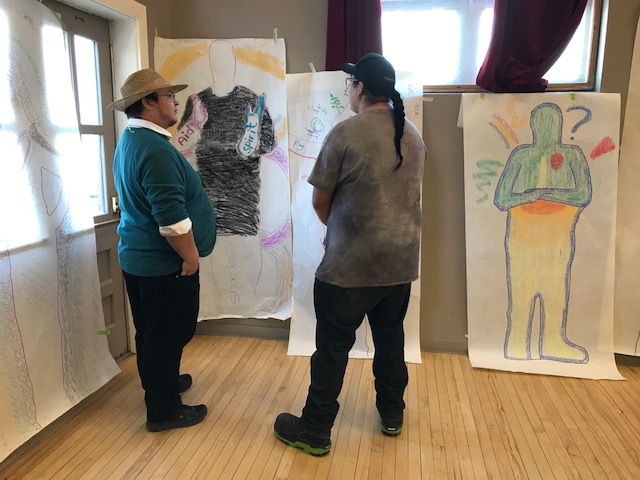 With a partner, participants created an outline and decorated their insides with symbols, words, and colours that represented their unique gifts, hopes, and dreams. 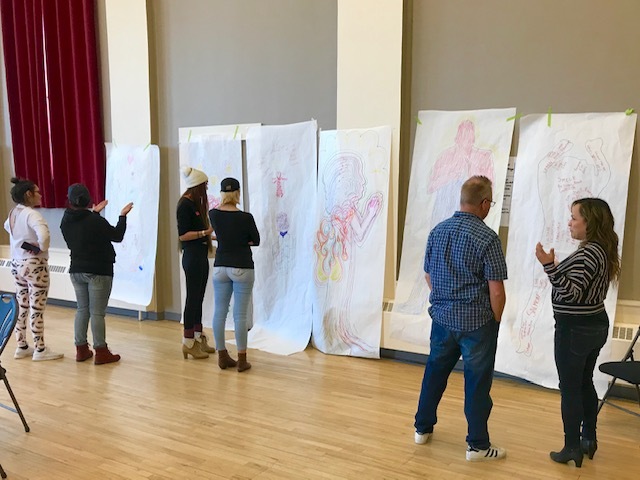 We also created pictures and metaphors of what the outer result would be of bringing those internal hopes and dreams to the surface. 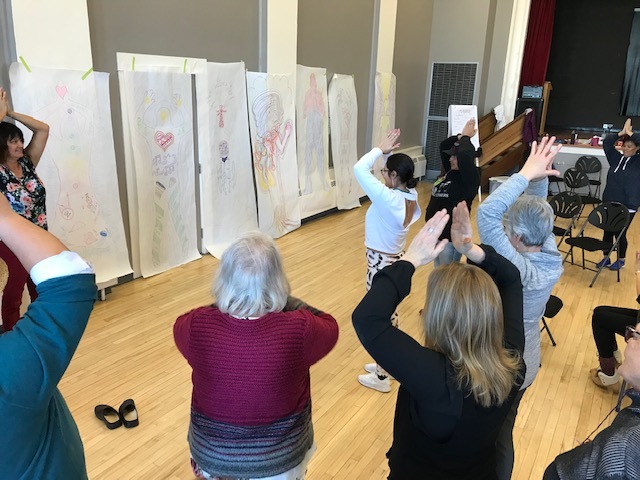 With a partner, and then with the entire group, participants shared one self-care step they would take to care for their dearest dreams and bring them out in the world. 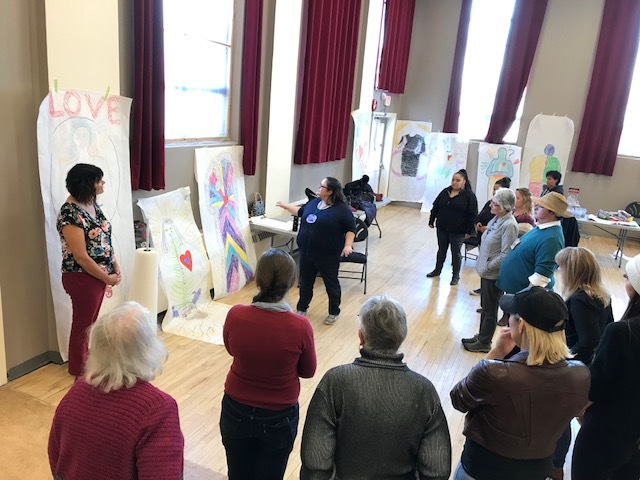 Like all Champions of Change sessions, we focus on the needs and priorities that arise from the group assembled – so the topics covered in the sessions are both responsive and fluid. There are only 2 more sessions! You can still jump in now and benefit deeply.